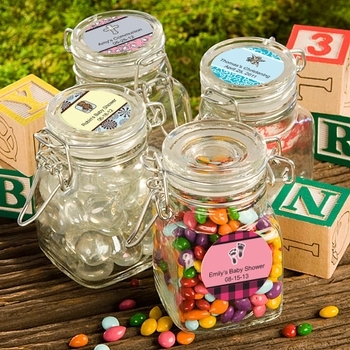 Practical baby shower favors are a great way to add a personal touch to your occasion while offering guests a lasting memento of your event long after the celebration is over. Here you will find a variety of items such as key chains, photo frames, containers, and personal care. This wide ranging selection features designs that cater to many shower theme as well as an assortment of religious occasions. Like most of our favors, many include the option of customization so you can have them correspond with your theme and decor. For these, you can select the design, colors, and text of your choosing. For any questions, assistance, or more detailed information, please send us an email or call us at 866-476-0213. All the favors shown here also include free shipping!